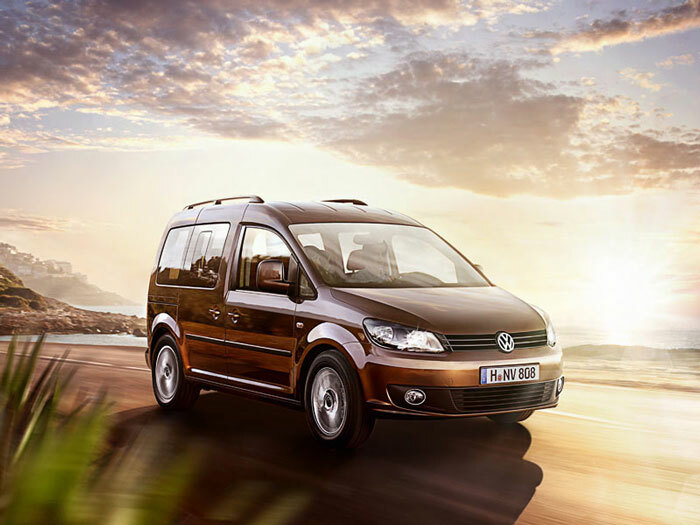 In many ways Volkswagen Caddy Maxi Life is probably the most accomplished of the “van based” seven seaters, offering buyers a wide range of engines to choose from. 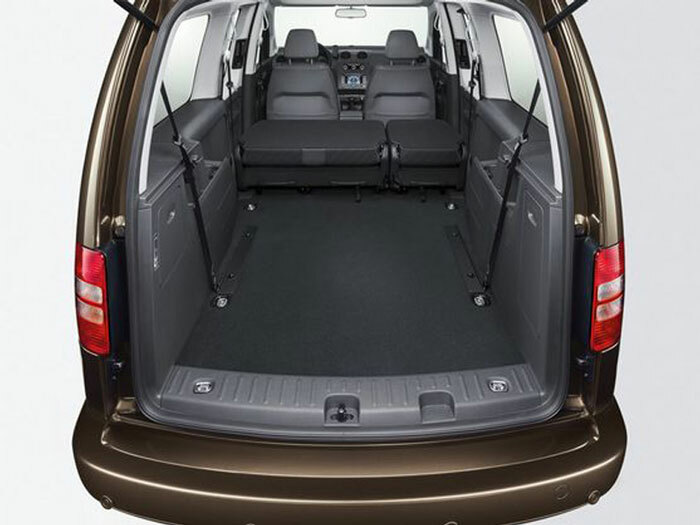 There are two key advantages that cars of this type have over purpose designed seven seat MPVs and they are cost and space. Unfortunately the caddy is not actually much cheaper than many other MPVs and whilst it certainly scores highly on space it comes with some lack of flexibility in seating arrangements that buyers of this type of car now expect. There is just so much space in the Caddy for both passengers and their baggage. The boot is cavernous and thanks to the low height and large door loading it up is easy, though you do need to make sure you’ve got plenty of room to open that boot door. The third row seat is fixed and whilst it can be folded down it doesn’t have any movement forwards or back to increase either legroom or boot space. If you want extra boot space you can remove the seats entirely. The large sliding doors means getting the children in and out is easy and so is loading it up if you need to transport large items. Take the Caddy on the open road and you are aware of the height of the car which contributes to some body roll. However the steering is relatively accurate. There is an excellent range of engines available to buyers with the diesels, unsurprisingly, being the pick of the crop. Fuel economy across the range is good and whilst acceleration doesn’t feel sparkling, once you are up to speed the car performs nicely. Whilst more plush than your average van there is no mistaking the Caddy’s heritage with hard plastics in evidence. Havingsaid that you do get more as standard compares to competitors such as the Citroen Berling Multispace. The height of this car means that adults in all seven seats will have plenty of headroom and legroom is also generous even for the third row passengers. 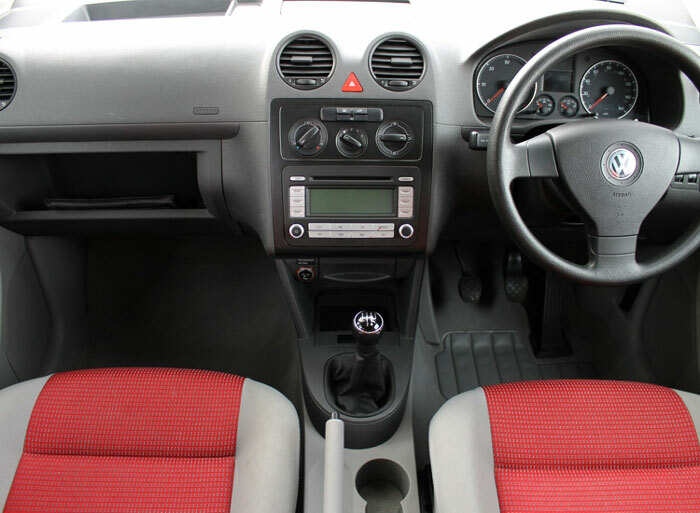 Very little road noise permeates the cabin so passengers can be assured of a relaxing journey. Most MPVs now achieve the full five star Euro NCAP rating for safety so the Caddy’s four star for adults and three for children is a little disappointing. There are front and side airbags as standard for the front seat occupants but these do not extend for rear passengers which seems unusual for what is meant as a family car. Active safety features do however include anti-lock brakes and traction control. Volkswagen has a good reputation for reliability and the Caddy is well built so should stand up well to the rigours of family life. One of Volkswagen’s strengths is it’s engines. Particularly the diesels which combine sufficient power with excellent fuel economy and if you choose one of the bluemotion diesels you will certainly benefit. Volkswagen also has a great reliability record so repair costs should be minimized. Insurance and car tax are also reasonable so overall running costs are good. 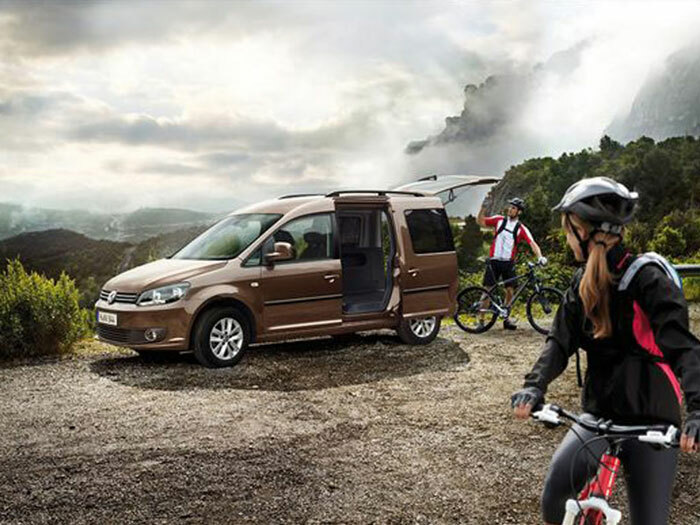 The Volkswagen Caddy is a very capable car if space and ease of access are high on your list of priorities. It is well built, reasonable to run and reliable. The problem with the Caddy is when you start to look at what it costs and compare that to what else you can get for a similar amount of money. And what this means is a lot of other manufacturers purpose built MPVs that are better to drive and more flexible.